Bahamas the cool, colorful and stylish brand from the house of Relaxo has launched its new TV campaign for Spring Summer season. 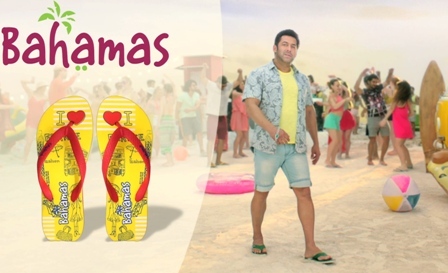 The concept of new TVC capture Bahamas proposition of energizing freshness, joy & fun featuring Bhaijaan of Bollywood – Salman Khan along with a youthful cast. The 30 second ad film is conceptualized and developed by creative agency – Arms Communication. It is backed with strong ATL & BTL campaign for 2018 themed ‘ Keep Chillin, Keep Fllipin ‘. The campaign is deep rooted in the consumer insight of enjoying the life to the fullest , that resonates the belief of today’s youth.